Grundy County Coroner John W. Callahan is investigating a pedestrian vs semi crash that occurred before noon on Thursday March 14, 2019. The incident occurred on I-80 near MP 114 ½ in the westbound side of the interstate. Preliminary investigation indicates a vehicle driven by Jacob R. Perry was westbound on I-80 when for unknown reason stopped and parked his vehicle on the shoulder of the roadway. He then attempted run across the lanes of traffic. Jacob Perry age 27 of Morris was struck and killed by a semi-tractor trailer. Coroner Callahan pronounced Jacob dead at the scene at 1235 pm. The death remains under investigation by Callahan’s office and ISP. Preliminary investigation indicates a vehicle traveling westbound on Reed road and began to travel off the north side of road but then came back across the roadway entering into the south ditch. The ditch in that area is very deep with significant water and the vehicle flipped over onto its top. Two female occupants of the vehicle climbed out of the vehicle and walked to a nearby house. Tony P. Rutherford 27 of Morris was an unrestrained passenger in the front seat. Mr. Rutherford was pronounced dead at the scene by Coroner Callahan at 0430 Sunday March 10, 2019. The two females were transported to Morris ER by Coal City EMS. The crash remains under investigation by Coroner Callahan’s office and the Grundy County Sheriff’s Department. An examination will take place later this date. Callahan states the identity of the man found deceased in his apartment on Twilight drive is Daniel Smiley age 65 of Morris. Preliminary investigation indicates Mr. Smiley has multiple stab wounds over his body. He was pronounced dead at the scene at 0945. The investigation remains active with Morris Police and Illinois State Police Crime Scene services. Grundy County Coroner John W. Callahan is investigating a traffic crash the claimed the life of a Morris man. The crash occurred Saturday March 2, 2019 shortly after 0900 on the Marseilles Road just west of Walker’s Corner. Preliminary investigation indicates a vehicle driven by 27 year old Virgil V. Saenz was eastbound on the Marseilles Road when for unknown reason left the pavement and entered into the ditch. The unit then came out of the ditch and across the roadway into the other ditch before coming to a rest. Evidence indicate Mr. Saenz was not wearing a seatbelt. Coroner Callahan states EMS transported the driver to the Morris Hospital where he was pronounced upon arrival at 1007 AM. The crash investigation continues by members of the Sheriff’s Dept along with the Coroner’s office. An autopsy will take place Sunday afternoon. The Grundy County Coroner’s Office is pleased to announce that their unidentified female homicide victim cold case, which dates back to October 2, 1976, will be featured on a world-renowned podcast, which spotlights missing persons cases. “The Vanished Podcast” was created in 2016 by Marissa Jones, who was frustrated with the lack of coverage in missing persons cases. The podcast airs new episodes of cases weekly and is currently approaching episode 160. “We are very excited and grateful that the [vanished] has chosen to feature our case. This is an excellent opportunity to get our case out to millions of listeners.” said, Deputy Coroner Brandon Johnson, who has been the lead investigator on the agency’s only forty-two year old cold case. “This helps get the epidemic of the missing and unidentified out to public and bring awareness to the issue at hand.” Johnson said. The episode titled “Jane Doe” will be the podcast’s first ever episode on an unidentified person and will inform the listeners of the difficulties that investigators face when working cold cases, especially unidentified persons. Jane Seneca Doe will not be the first Illinois case the podcast has covered. Most recently, they featured the story of retired Andrew High School teacher, Daniel Jarski, who went missing from his Grant Park, IL home on September 9, 2018 and was discovered deceased two months later. Grundy County Coroner John W. Callahan is releasing the name of the individual involved in a traffic crash earlier Christmas Eve morning. Killed in the crash was 32 year old C. J. Loveland of Essex. Callahan states his parents were notified shortly after the crash and was giving the family time to make other notifications. The investigation continues by member of the Sheriff’s Dept along with the Coroner’s office. Grundy County Coroner John W. Callahan along with Grundy County Sheriff’s Department is investigating a crash that claimed the life of a 32 year old Essex man, Tuesday morning 12/24/18. The name is being withheld pending notification of next of kin. Coroner Callahan states he was notified of the death shortly after 11:00 a.m. The single vehicle crash occurred in the area of It appears that the vehicle was traveling at a high rate of speed and for an unknown reason, left the roadway, striking a utility pole. The alleged driver fled the scene prior to the arrival of authorities. The passenger was ejected and transported to the Morris Hospital Emergency Room, where he was pronounced dead at 10:40 a.m. Both offices were assisted by the Gardner Fire Protection District and numerous surrounding fire agencies. Grundy County Coroner John W. Callahan is releasing details regarding an update in the death investigation of a cold case of an unidentified female. The body was found on October 2, 1976 in a farm field in Erienna Township, Unincorporated Seneca, IL. Investigators from the Grundy County Sheriff’s Department and Illinois State Police in conjunction with the Coroner, worked the case for a period of time. After several weeks of not being able to make any identification, the body was buried under the authority of the Grundy County Coroner. Not only were there no identification leads, but also the fact that the death was ruled a Homicide from a gunshot wound to the head. Callahan and his team have been continuing to work the reopened case for about the last year and a half. “We have received a good amount of tips from the public since reopening the case. Two particular tips were from loved ones missing their family member for forty-two to fifty-five years. DNA was compared to the tipsters’ DNA and unfortunately there was no match to our unidentified female. However, by them reaching out and contacting us, we have now encourage both families to finally report their relatives as missing persons and submit DNA, which may help another case in the future,” stated Deputy Coroner Brandon Johnson, who has helped with the reopened investigation. Grundy County Coroner John W. Callahan office along with Minooka Police are investigating the death of a 26 year old Braidwood lady. Coroner Callahan states Kathleen A. Garcia 26 of Braidwood was with a friend in an apartment in Minooka when she and her friend were using heroin and a prescription drug. At some point shortly after noon on Saturday the 8th of December the friend noticed she was unresponsive. The friend called 911 and also gave her narcan but time had lapsed. Coroner Callahan stated Kathleen was pronounced at 1330 Saturday at the residence in Minooka. Callahan states there was evidence of both heroin and a prescription drug in the residence along with a statement from the friend. Coroner Callahan states heroin is a deadly drug and when you begin to cut it with prescription drugs you are “rolling the dice” with your life. “We are working diligently with departments to get a handle on this drug” Callahan encourages parents to know what is going on within their home and to reach out for help if need be. “Any of our law enforcement agencies can help or give the proper guidance” Just ask! An autopsy will take place Sunday the 9th with toxicology pending. The death investigation remains under investigation by the Coroner and the Minooka Police. Grundy County Coroner John W. Callahan office along with Coal City Police Department is investigating the death of a 60 year old as a result of suspected heroin overdose. This death occurred early Tuesday afternoon. Coroner Callahan states he was called to a residence in Coal City for the death of Clarice R. Cummings of Coal City. There was evidence at the scene that supports the use of heroin and other pharmaceutical drugs. Coroner Callahan states this is a deadly drug and Grundy County is no different from any other county. Through this news release and awareness programs, we hope to try and save the lives of others. This is the third death in Coal City this past 10 days as a result of suspected heroin. Autopsy on Clarice was completed Wednesday with toxicology pending. Coroner Callahan states he was called to a residence in Coal City for the death of James Lee of Coal City. There was evidence at the scene that supports the use of heroin. There was a female individual from Wilmington that had overdosed but EMS was able to administer drugs and she was transported to Morris ER. This individual confirmed the use of heroin. Coroner Callahan states this is a deadly drug and Grundy County is no different from any other county. Through this news release and awareness programs, we hope to try and save the lives of others. Autopsy on Mr. Lee was completed Monday with toxicology pending. Grundy County Coroner John W. Callahan office is investigating a crash that occurred around 1630 Tuesday afternoon on I-80 at the 107 mile marker. The crash claimed the life of a Michigan couple. Preliminary investigation indicates the vehicle was traveling eastbound on I-80 when it left the roadway for an unknown reason. The vehicle traveled approximately 200 feet before striking a tree. The vehicle burst into flames after the collision. Coroner Callahan states the driver of the car is identified as Charles R. Fuller age 73 and his wife (passenger) is Shirley Ann Fuller age 74. Coroner Callahan states notification was made with the family in Tennessee and Michigan. Family stated the couple were traveling home from Minnesota after attending the funeral of Shirley’s mother. The investigation remains under investigation by the Coroner’s office and the Illinois State Police. Morris Fire and EMS assisted the Coroner’s office with extrication. Autopsies on the couple will be performed on Wednesday evening. Grundy County Coroner John W. Callahan office is investigating the discovery of a dead body Sunday evening in Coal City. Coroner Callahan states he was notified of the body shortly after 7:00 pm in the area of Lincoln and North Streets. The body was discovered by some juveniles playing in the area of the abandoned green houses in the area. Preliminary investigation indicates the deceased as 59 year old James E. Roney who had went missing on September 4th 2018. Mr. Roney had been living with friends for the past several years in Carbon Hill. Evidence at the scene support Mr. Roney had has been deceased for a long period of time, consistent with the time frame of the missing person information. Coroner Callahan states there appears to be no foul play and an examination was done early Monday morning. Preliminary results are inconclusive at this time and waiting further test results. Grundy County Sheriff and the Coal City Police Departments are also involved in the investigation. Grundy County Coroner John W. Callahan is confirming the first West Nile Encephalomyelitis death in Grundy County. The death occurred August 25 at the Morris Hospital. The age of the man is 85 and he is a resident of LaSalle County. It is unknown where the actual virus was contracted. Coroner Callahan states people should follow the recommended precautions against the virus such as using appropriate mosquito spray or wearing long sleeves while being outdoors. For further information on precautions you should check with your local health department. Grundy County Coroner John W. Callahan along with Minooka Police are investigating the suspicious death of a 27 day old baby. Coroner Callahan states the baby was brought into Morris Hospital ER on Friday just before 1 pm by Minooka EMS. The baby was pronounced dead at 1:22 pm on Friday the 24th. An examination took place late Friday night. Coroner Callahan states at this time no further details are being released. The two departments are being assisted by the Will/Grundy Major Crime Task Force Team and the Grundy County States Attorney’s Office. Further updates will be released next week. Grundy County Coroner John W. Callahan along with Morris Police Department is investigating the death of a 30 year old Michigan man. Gaylen K. Gavit was found unresponsive by his sister in the Park Motel in Morris Friday night around midnight. Gaylen and his sister were traveling to Wyoming and stopped in Morris for rest. Preliminary investigation indicates Mr. Gavit was doing Heroin while his sister was sleeping. His sister Tamlyn Delgado stated she woke up and found him shortly after midnight and called 911. She attempted to give her brother Narcan which he was carrying himself. Mr. Gavit was pronounced dead at the scene by Coroner Callahan at 0115 hours on Saturday 8/11/18. Examination will take place Sunday morning and the investigation continues. Grundy County Coroner John W. Callahan is investigating the death of a 44 year old man from Crete Illinois who died at the Grundy County Fairgrounds Friday evening. Preliminary investigation indicates Jason Parrott had been warming up his race car when he had engine trouble. Mr. Parrott was outside of his car pushing it into pit row when he became ill. Feeling chest pains, the EMS staff at the raceway began medical attention and called for Morris EMS. Mr. Parrott was pronounced dead at the scene by Coroner Callahan at 1855 hours on Friday evening 8/10/18. The Grundy County Coroner John W. Callahan is releasing the name of the driver that was killed in a traffic crash earlier this evening. 20 year old Colson Brian Cole was pronounced deceased by Coroner Callahan 5:35 pm on I 80. Mr. Cole lived in Morris (previously of Plainfield) with his girlfriend and was on his way home from work. Crash remains under investigation by Coroner Callahan’s Office and ISP. The Grundy County Coroner John W. Callahan and the Illinois State Police are investigating a traffic crash on I 80 just east of the Morris East bound entrance Ramp. The crash occurred around 4 pm Thursday 8/9/18. Preliminary investigation indicates a vehicle was traveling west bound on I 80 and the driver lost control of the vehicle entered the median. The vehicle then traveled out of the median into the east bound lanes and was struck by a tractor trailer. The impact was with such force, the car was cut in half on impact and the front portion of the car was trapped beneath the tractor. This portion of the car with the driver trapped inside was then pushed approximately 300 feet east coming to a rest in the south ditch. Extrication was made by the Morris Fire Department and EMS units. The name of the driver is not being released at the time of this news brief pending notification of next of kin. The Grundy County Coroner’s office along with Grundy Sheriff’s Department are investigating the death of a Seneca man, who apparently drowned in the Illinois River near the Railroad Trestle just east of the Seneca boat ramp. Authorities received a call for a person in the water at approximately 2:30 p.m. on Saturday July 21, 2018. The body was recovered at approximately 4:30 pm on Saturday. Grundy County Coroner John Callahan pronounced 29 year old George F. Lamboley dead at 5:45 pm. George is the son of Seneca Police Chief George Lamboley. Coroner Callahan states preliminary reports are unclear as to how this incident occurred. There was no boat involved. The death remains under investigation and an Autopsy will take place on Sunday July 22, 2018. Agencies were assisted by numerous area fire department’s water recovery units. The Grundy County Coroner’s office along with Department of Conservation are investigating the possible drowning in the Illinois River. Coroner Callahan states he was notified of a body being spotted in the River just west of the area where a man had went missing on Sunday July 8th. ( Harbor Side Marina) Callahan states the body was recovered during a search by the Wilmington Fire Department Water Recovery Unit. Callahan pronounced 47 year old Baldur Kirsch JR. of Wilmington dead at 0945 today’s date of July 10th. Coroner Callahan states there are conflicting details at this time as to how Mr. Kirsch actually went into the water, therefore there are no further details surrounding his death at this time. An autopsy was completed late Tuesday confirming the cause of death to be drowning. The death remains under investigation by the Coroner’s office and DNR. There were several agencies assisting in the search efforts. Grundy County Coroner John W. Callahan is releasing details regarding a death investigation of a cold case of an unidentified female. The body was found on October 2, 1976 in a farm field in western Grundy County. Investigators from the Grundy County Sheriff’s Department and Illinois State Police in conjunction with the Coroner, worked the case for a period of time. After several weeks of not being able to make any identification, the body was buried under the authority of the Grundy County Coroner. Not only were there no identification leads, but also the fact that the death was ruled a Homicide from a gunshot wound to the head. Coroner Callahan states that at the time in 1976, authorities exhausted all possibilities with the investigative tools of that time. Today, there is so much more in the way of DNA, advanced fingerprinting, facial sketch artists just to name a few that my office felt it was an opportune time to look further into the death. Coroner Callahan also states, “I’ve known about this unidentified female since I started in the Coroner’s office in 1994 and it has troubled me that someone’s loved one is buried here and was never identified.” Coroner Callahan states that he understands that this is a “long shot” in hopes of identification and even further of any hope of finding the killer. I do believe my office has put together a very solid case presentation with the help of evidence that was kept by the Grundy County Sheriff’s Department and assistance from the Illinois State Police Crime Lab, along with NamUs. The Grundy County Coroner’s office along with the Illinois State Police is investigating a traffic crash on I-55 north of the Gardner exit Monday afternoon May 14, 2018. The incident occurred shortly after 4:00 pm, claiming the life of a 61 year old man from Broadview, Illinois. Coroner Callahan states he was called to I-55 MP 231 around 4:30 pm. Preliminary investigation indicates there was a rollover crash in the southbound lanes of I-55 which in turn caused the northbound traffic to stop. At that time it appears a van traveling northbound did not see the stopped traffic and crashed into the rear of a midsize vehicle causing it to strike the car in front of it. The van then spun around and struck another vehicle causing it to roll onto its side. Coroner Callahan states the driver of the van was identified as Stephen D. Fulse and was pronounced dead at the scene at 5:05 pm. Broadview Police Department assisted in the notification. An examination will take place Tuesday and the investigation continues into the death of Mr. Fulse as well as the crash. The Grundy County Coroner’s office is releasing more information regarding the body found in a private pond west of Morris on May 3rd. Coroner Callahan states the autopsy was completed this afternoon May 4th and the body was positively identified thru tattoos and other physical evidence on the body. The body was identified as Terry Edward Brown, 45 year of age from Michigan. Mr. Brown’s vehicle was found in early December in a ditch just off of I-80 at the Seneca exchange. No one was around the vehicle at the time when police arrived. Coroner Callahan states it is uncertain as to the events the evening the car was found in the ditch and the time since that evening. Coroner Callahan states when we have a death investigation such as this death where there are no witnesses, it is difficult to pinpoint the actions of the Mr. Brown. What we do know is Mr. Brown’s death is a drowning pending toxicology tests. The Grundy County Coroner’s office along with Grundy County Sheriff Department and Illinois State Police Crime Scene Services are investigating an apparent drowning. Coroner Callahan states he was called around 1610 hours on Thursday May 3, 2018 to a private pond located at Rt. 6 and Seneca Road. The subject was discovered by a couple fisherman. Coroner Callahan states a subject was taken from the water with the assistance of Morris Fire Department Water Rescue Team around 1800 hours. The identity of the deceased is being withheld pending notification of next of kin. Coroner Callahan states this death could be related to a traffic crash that had occurred several months ago at the Seneca exit. The driver of that crash had never been found. An autopsy is scheduled for tomorrow and more information may be released at that time. The Grundy County Coroner’s office along with Grundy County Sheriff Department is investigating a two vehicle crash that claimed the life of a Morris Woman. Chief Deputy Coroner Christina Hintze-Symoniak is releasing the name of the Morris Woman that was killed on Rt 47 near Spring Road, yesterday evening, April 25th. 23 year old Sabrina M. Slater was pronounced dead at the scene at 5:50pm. The Coroner’s office states that the woman, whose name is being withheld pending notification of the next-of-kin, was traveling southbound on Route 47 near Spring Road, outside of Mazon at approximately 5:30 p.m., when she was involved in the two vehicle crash. Preliminary investigations show that she went to pass another vehicle and for unknown reason did not see stopped traffic turning onto Spring Road and was hit head on by a North bound pickup truck. The Morris Woman was pronounced dead at the scene at 5:50 p.m. The incident remains under investigation by the Coroner’s office and the Grundy County Sheriff’s Department. Departments were assisted by Mazon, Verona, Kinsman and Morris Fire Departments, as well as Mazon- Verona-Kinsman EMS. The Grundy County Coroner’s office John Callahan is releasing more information on the traffic crash that occurred March 16th at the Gardner Blacktop and Rt. 47 that claimed the life of Robert Hogg. Toxicology results indicate Mr. Hogg’s blood alcohol content was 0.262 and in addition Mr. Hogg tested positive for THC and an anti-depressant. Coroner Callahan states there has been a lot of concern with this particular intersection in the County. While there may be additional safety measures considered in the future, it is still a major concern of Coroner’s Office regarding Driving Under the Influence and/or impaired. The Grundy County Coroner’s office along with Grundy County Sheriff Department is investigating a single vehicle crash that claimed the life of a Coal City man. Grundy County Coroner John W. Callahan is releasing the name of the Coal City man that died in an incident on Jugtown Road sometime late Saturday night or early Sunday morning. 52 year old Paul L Ruffatti was found in the driver’s seat of a pickup truck pulled from Beaver Lake in Goose Lake Township on Sunday April 1, 2018. The crash remains under investigation by both agencies. Coroner Callahan states if anyone was with Mr. Ruffatti Saturday evening or early Sunday to call his office with any information. Preliminary investigation indicates that a pickup truck was headed Southbound on Jugtown Road when for unknown reason left the roadway and traveled close to 400ft, then corrected and went thru brush and timber and into Beaver Lake. The man’s identity is being withheld, pending next of kin notification. The Grundy County Coroner’s office along with Grundy County Sheriff Department is investigating a traffic crash that claimed the life of a 41 year old Channahon man. Notification was made late last night and the identity is being released this morning March 17, 2018. The vehicle was being driven by Robert G Hogg Friday evening. Preliminary investigation indicates Mr. Hogg was eastbound on Gardner blktp when he failed to stop for the stop sign at the intersection of Gardner Blktp and Rt. 47. Mr. Hogg’s unit stuck a large flatbed trailer that was being pulled southbound on Rt. 47. Coroner Callahan states Mr. Hogg had to be extricated from the vehicle and transported to the Morris Hospital where he was pronounced dead at 1845 hours Friday evening. The incident remains under investigation by both agencies and an examination will take place Saturday morning the 17th. The Grundy County Coroner’s office along with Grundy County Sheriff Department is investigating a traffic crash that claimed the life of a Channahon man. Coroner Callahan states the incident happened near the intersection of Rt. 47 and Gardner Blktp on Friday evening. At this time the name of the deceased is not being released pending notification of next of kin. Remains under investigation by both departments and an examination will take place Saturday morning. The Grundy County Coroner’s office along with Morris Police are investigating the death of an 18 year old Sandwich man in the early morning hours of Saturday 1/20/18. Coroner Callahan states the preliminary investigation indicates Bladimir Ortega 18 of Sandwich was brought to the ER of Morris Hospital by a friend. The friend came into the ER admitting area and stated his friend needs help. Staff from the hospital approached the car with a wheelchair and placed patient into the chair. Patient had no pulse at this time. Patient’s friend told ER staff he would park the car and come in, however he left the scene and has not come forward. Life saving measures were preformed but patient never responded and was pronounced dead at 0123 Saturday morning. Coroner Callahan states that it is believed Heroin was used and Bladimir overdosed. The investigation continues with an examination scheduled for later today. The Grundy County Coroner’s office and Illinois State Police are investigating a fatal motor vehicle crash, which claimed the life of a 27 year old Bradley woman. The Coroner’s office states that woman was travelling Eastbound on I-80 near mile marker 121 near Minooka, when it appears she came upon heavy traffic from a previous accident ahead, causing her to rear end a large box-type truck. The woman identified as Angela Dominguez was pronounced dead at 1:03 p.m. Notification was made to the family shortly after 4:30 p.m. by the Kankakee County Coroner’s Office. The incident remains under investigation by Coroner Callahan’s Office and the Illinois State Police. Departments were assisted by the Minooka Fire Protection District. The Grundy County Coroner’s office completed the examination on Mr. Heinrich Sunday evening and preliminary cause indicates a cardiac event that could have been accelerated by a traumatic event that took place in his garage that evening. Mr. Heinrich had several health issues prior to the event on Saturday. Also after meeting with family members and fire officials it’s been determined that there was no explosion and that Mr. Heinrich had changed out the motor on his electric wheelchair sometime prior to the fire. It is unknown at this time what may have actually started the fire. The death remains under investigation by Coroner Callahan’s Office and fire officials. Grundy County Coroner John W. Callahan’s Office is investigating the death of a 53 year old Dwight man that was pronounced dead in the Morris ER at 1805 Saturday evening following an incident involving a fire in Dwight. Coroner Callahan states that Mr. Donald Heinrich was in his garage in Dwight working with an acetylene tank when an explosion occurred followed by a fire. Mr. Heinrich is an amputee and was in his motorized wheel chair at the time of the incident. His clothing caught fire and due to the incident was thrown out of his chair. He was unable to crawl out of the garage and EMS along with other were able to free him from the burning garage. While EMS was tending medical attention to Mr. Heinrich, he went into cardiac arrest and CPR was initiated along with transporting to Morris Hospital. Mr. Heinrich did suffer burns of his body however an autopsy will take place Sunday to determine the cause of death. The death remains under investigation by Coroner Callahan’s Office. 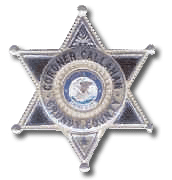 Grundy County Coroner John W. Callahan’s Office and the Illinois State Police are investigating a single-vehicle rollover accident that claimed the life of a 37 year old Cicero man. The Coroner’s office states that Sergio Rodriguez was travelling Northbound on I-55 near mile marker 226, outside of Gardner, when he was involved in the rollover accident. Rodriguez was transported to the Morris Hospital Emergency Room, where he was pronounced dead at 5:17 a.m. The incident remains under investigation by the Coroner’s office and the Illinois State Police. Departments were assisted by Gardner Fire/EMS.